Perfumes have been used since the beginning of human history and can be traced back to the ancient Egypt and ancient China. At that time their use was different from now, since they were normally used for religious ceremonies. With the growth of the demand for perfumes, the market has been expanding accordingly. The global fragrance and perfume markets are expected to grow at a rate of 6.2% in the next few years as consumers will be purchasing more perfumes and fragrances in 2019. Perfumes and colognes are likely to witness a significant growth during the forecast period. This means that no matter if you want to start your business in the perfume market or if you already have your perfume brand, this industry is relatively profitable. Here we are going to share some feasible perfume suggestions that can help you to get a better understanding on how to improve your own perfume packaging. A person’s class and personality can be expressed by his or her scent, and each scent has the power to convey a particular meaning. Many brands use fragrances to stand for their style. They basically use their unforgettable and impressive smell to symbolize their brand. However, a fragrance is not only a form of olfactory art, but also a visual art. Packaging plays the same essential role visually speaking. 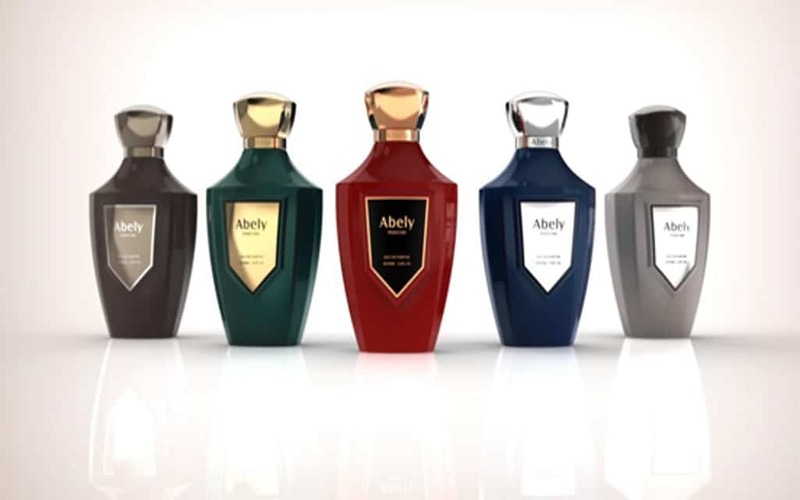 The value of a perfume is firstly expressed by the packaging design where the perfume bottle meets the recognizability of the fragrance and builds a brand identity. There are three factors you need to take into consideration when choosing your perfume bottles. Firstly, the perfume bottle capacity is important. Generally, standard perfume sizes are 30ml, 50ml, and 100ml. But you can also find perfume bottles of 3ml, 5ml, 15ml, 20ml in some cases. The small vials – like the 3ml or 5ml ones- are often used for promotion purposes. You probably can get one as a gift when you buy an average perfume in a boutique. And the bottles of 15ml and 20ml are widely used as pocket perfumes during travel. Generally speaking, the 50ml and 100ml perfumes are most commonly used in everyday life. So, if you are prepared to build up your own perfume brand, the standard 50ml or 100ml perfume bottles will be a good choice. Secondly, decorations on a perfume bottle play an important role in the appearance of the perfume brand. This concept was emphasized by well-known perfume bottle supplier Abely said: ”Decorations have become increasingly popular with customers. To make products stand out from other competitors, more and more customers are requesting sophisticated decoration techniques to enhance their product marketability.” If you are new in the perfume market or it is the first attempt to establish your own brand, a standard bottle with customized decorations will be a choice much better than perfumes created with private bottle molds. The standard bottles made from experts’ hands can be decorated with a special and charming design. You can choose your favorite color to apply on the bottle by color lacquering and write your own brand name by hot stamping or silkscreen printing. What’s more, there are more kinds of decoration techniques available, such as high-end hand polishing, frosting, velvet flocking, engraving, metal plate, and tassel. And you can combine them according to your needs. Thirdly, a suitable perfume cap can improve the whole appearance of the bottle, by thus making a standard bottle look impressive and high-end. There are various choices when it comes to cap materials and structures. The most popular materials are zamac, ABS, surlyn, and acrylic; they can be combined with different structures like clicking, magnet, ABS with heavy inside, and many more. Normally a professional perfume supplier would suggest you some advanced choices to select the most suitable cap, according to your project budget, target market and other factors. Finally, the pumps and collars are the initial step to feel the perfume by spraying. It’s crucial to buy qualified pumps and collars which match international standards, since low-quality pumps and collars will greatly affect the user experience. No one would use again a perfume brand after experiencing the inconvenience of a sprayer that doesn’t work with half of the perfume left in the bottle. Hence, buying branded and high-quality pumps and collars is an essential choice in making your own perfume. Here are two brands that are the most well-known in producing pumps and collars: Aptar and Coster. Modern and creative packaging is not only effective in increasing sales, but it is also a good way to maximize your marketing strategy on a low budget. In particularly, the perfume packaging has come a long way with using different styles and incorporating creative designs to match the brand and raise consumer awareness. 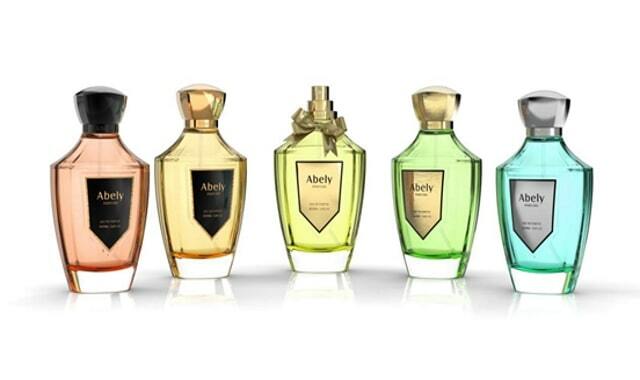 Several perfume companies even become more popular thanks to an innovative packaging. They owe the success of their product lines largely to the use of a new packaging. When coming up with an innovative packaging design for your own perfume, it is essential to determine what playing field you will enter. The top-level market is already dominated by big designer brands such as Chanel and Yves Saint Laurent, Dior, and Hermes, among others. Unless if you are appointed to do a design overhaul for any of these brands, it is best to get into the high-end or mid-end market which better fits your design to suit the taste of customers from the middle-class. Combining a primary packaging with a secondary packaging can lead to substantial results after having analyzed the best perfume solutions. Normally there are many types of packaging design, including folding box, cylinder box, rigid box, and wooden box. A folding box is suitable for the mass market, since it is relatively simple and much more convenient; while a rigid box and a wooden box are more popular in the high-end perfume market and with niche brands. Different cultures will have different preferences regarding smells and aesthetics. For example, French customers consider the perfume as part of their culture, as much as food and wine. Therefore, they aren’t afraid of stronger and spicy statement scents (such as Guerlain Shalimar and Chanel No. 5). In the Middle East, fragrances are so ingrained in the culture that people rarely go out without it. The fragrance is often regarded as a spiritual way to anoint yourself before prayer, and it’s also a personal statement: “Many people wear strong perfume all over as a way to symbolize their status, and they prefer luxury style perfume bottles with a golden zinc alloy cap”. Ms. Fannie said, the owner of the perfume packaging company Abely, which has been expanding its Middle East perfume market for many years. On the other hand, with the rose of feminist awareness, other customers from North America and other counties in Europe usually prefer a simple and unisex perfume, which comes with a standard perfume packaging. And any environment-friendly material is highly welcomed in the European and North-American market. Therefore, the recyclable packaging is predicted to be widely used in the future in those perfume markets. All in all, the unisex and environment-friendly aspects of perfumes will be more than likely the number one global trend in the future.